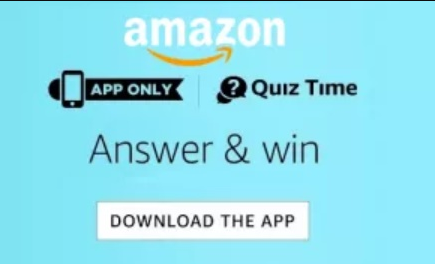 Amazon quiz is now on a daily basis but only for 4 hours from 8 AM to 12 PM and a great chance to win huge prizes from Amazon. In today’s Amazon app quiz, Answer 5 simple questions stand a chance to win a Saregama Carvaan Device. Hear some of the best classical songs which you couldn’t find on the internet.